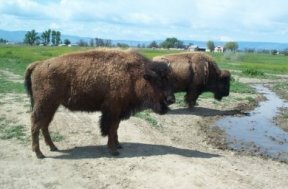 In 1991, the Yakama Nation as a government welcomed back into its culture the "Tsoo-thlum", or Bison, to the homeland of its people. This long awaited journey began with an individual tribal member who purchased and raised 12 of the bison. Upon his retirement the tribe offered and purchased the animals, and the rest is history. Today the herd has grown from the original 12 to over 125. 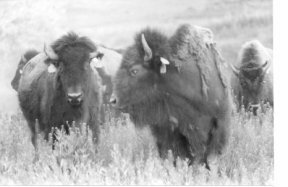 Through the efforts of dedicated tribal members, and with funding by the Intertribal Bison Cooperative of Rapid City, South Dakota, the bison is here to stay. 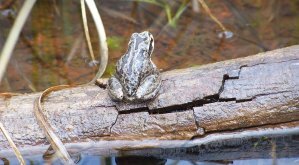 The herd is now under the management of the Yakama Nation Wildlife, Range, & Vegetation Program (transferred from under the direction of the YN Cultural Heritage Center in 1996). 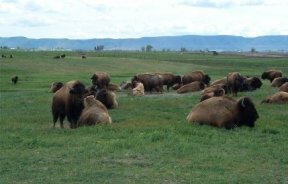 The Bison Project has over 150 acres of land to manage the herd, utilizes over 150 tons of winter feed per year and produces 25-30 young calves every spring. 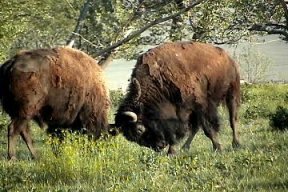 Culturally, the bison plays a big role in the history of the Yakama People. Yakama legends depict the departure of this magnificent animal, and its long awaited return. 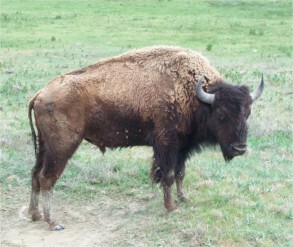 The bison was used in a ceremonial way to honor warriors of the tribe. Revered for its strength and endurance, the animal was one of the symbols of manhood and represented the Warriors of the Tribe through ceremonial events such as the Soup Dance. It was also a prized item for health benefits it gave to our people that prevented many of the foreign diseases brought here from abroad. Today this knowledge is being reinforced through scientific studies that conclude bison meat is an excellent alternative to red meat for diabetics and heart patients. Native peoples have always known this and today are trying very hard to bring back the bison for our people. More so, there are over 150 uses of one single bison from medicines to ornamental items. 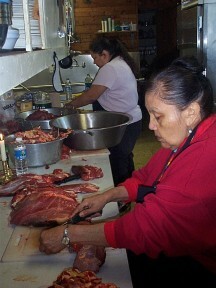 Buffalo meat can be purchased by both tribal members and the general public. Prices for buffalo are variable and subject to change at any time. To make a purchase, please contact LeRoy Adams, Jr. at (509) 865-5121 x6301 or George Meninick at (509) 949-2258. 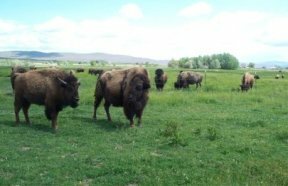 Pictures - Bison herd on Yakama Reservation. 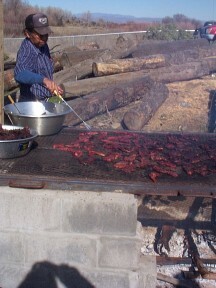 Pictures - Buffalo meat donated by the USDA was carved, cooked, and distributed to Tribal Elders by the Yakama Nation Diabetes Program.